Alright Darling? is a visual celebration of the uninhibited, unapologetic and unafraid wonderland of contemporary drag. 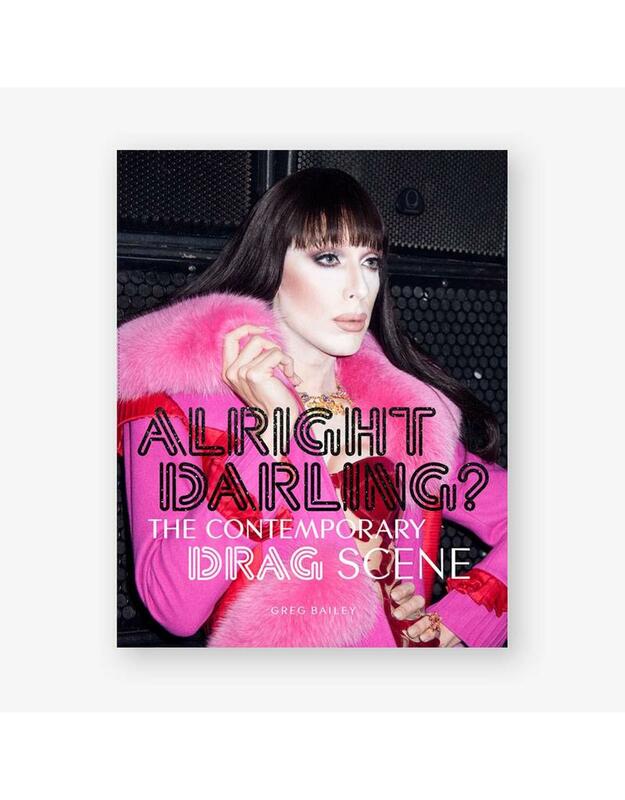 Showcasing the world’s fiercest drag queens, along with their wild fashion – and the wit, realness, backstage antics and outrageous shade of drag culture – the book includes fresh shots of the ringleaders of this world, including: Adore Delano, Alyssa Edwards, Courtney Act, Detox, Francois Sagat, Manila Luzon, Sharon Needles, Trixie Mattel, Willam Belli, Latrice Royale, Raja Gemini, Milk and many, many more… All images are taken by Greg Bailey, founder and editor of Alright Darling – the zine at the centre of the recent explosion of drag..